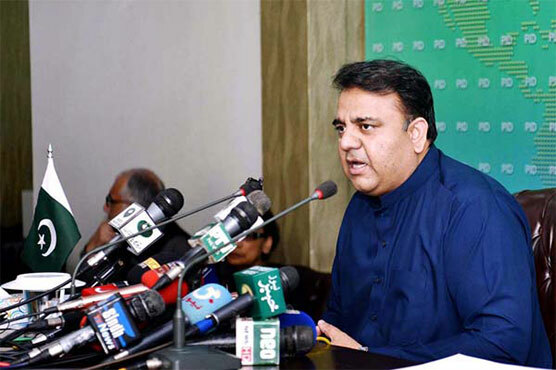 The ruling party on Tuesday stuck to its demand of Sindh Chief Minister Murad Ali Shah’s resignation as Information Minister Fawad Chaudhry arrived in Karachi on a two-day-long visit. The information, reiterating the resignation demand, claimed that Murad was working against the interests of the masses, “hence, we are demanding for his resignation”. “We stand with the masses of Sindh as their money is not invested on them.” He added that the incumbent government was striving to serve the lower and middle-class segments of society. The information minister also claimed that certain individuals from Sindh’s ruling party, the Pakistan Peoples Party, had contacted the Pakistan Tehreek-e-Insaf government for “bringing change in the province”. Taking a jibe at the federal government, adviser to the CM on corruption and information Murtaza Wahab said that the government has taken U-turns on every promises they made. On being criticised, they explain benefits of the U-turns, said Wahab, adding that we will get rid of this incompetent government.